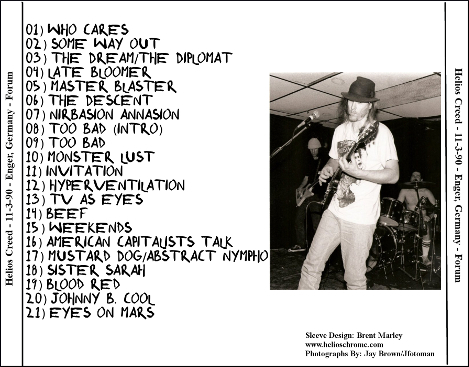 Great audience recording from late 1990 with this show from Germany. Guitar and vocals are nice and loud. Minimal crowd noise and an energized show with a great long setlist. 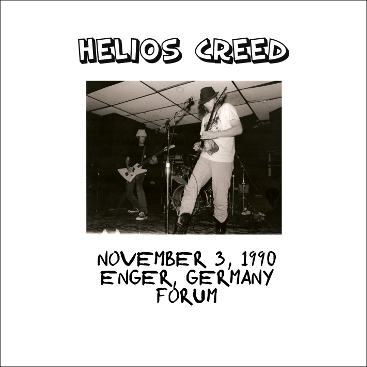 I rate this right up there as one of the best Helios Creed show recordings from 1990, only second to maybe the soundboard from Gabe's Oasis in Iowa City 3-25-90, on the other hand this show has a much beefier setlist, so this show may take the cake! Oh yeah, it's also Helios' birthday at this show.